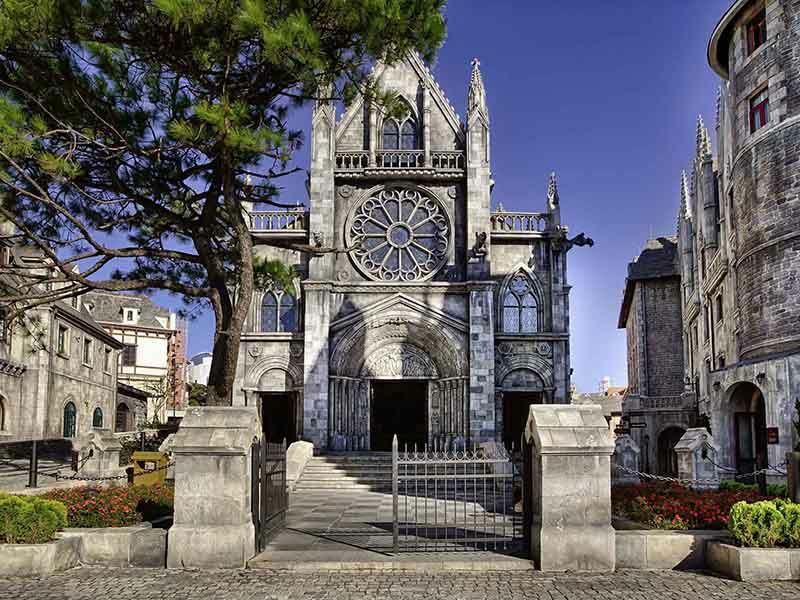 Ba Na, a hill mountain resort inherited from the French, refreshingly cool weather and gorgeous countryside views. Established in 1919, the resort area once held 200-odd villas, but only a few ruins remain. With a height of 1,487 meters above the sea level and a cool temperate climate, Ba Na Hills (Ba Na Mountain) is a real treasure of Da Nang. 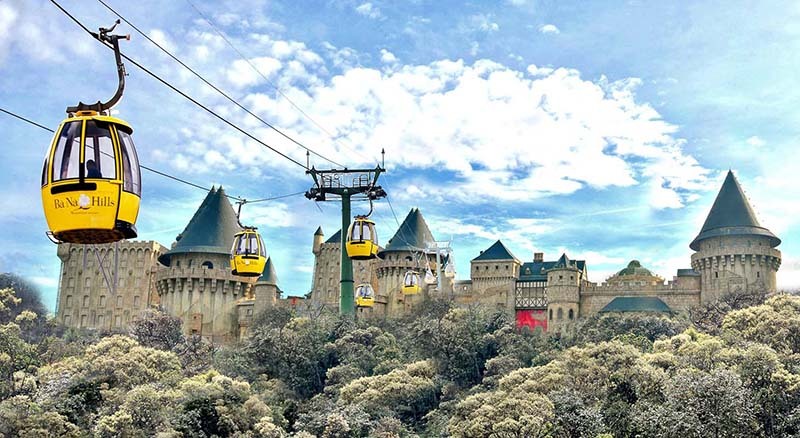 Ba Na cable car – one of the most impressive ten cable car lines in over the world with 3 cable lines: Mo Stream – Ba Na, Debay – Morin, Toc Tien Waterfall – L’Indochine with total number of 201 cabinets and capacity of 3,000 passenger/hour. Especially, Toc Tien Waterfall – L’Indochine cable car line brings distinctive experiences with the world longest single-rope cable car system (5,801m) and the cable car system with the world highest difference between departure station and arrival station (1,368m). Golden Bridge perched on the slope of Ba Na Mountain, the 150-meters-long bridge was intended as a walkway in the sky, amid the foggy hills of the mountain. 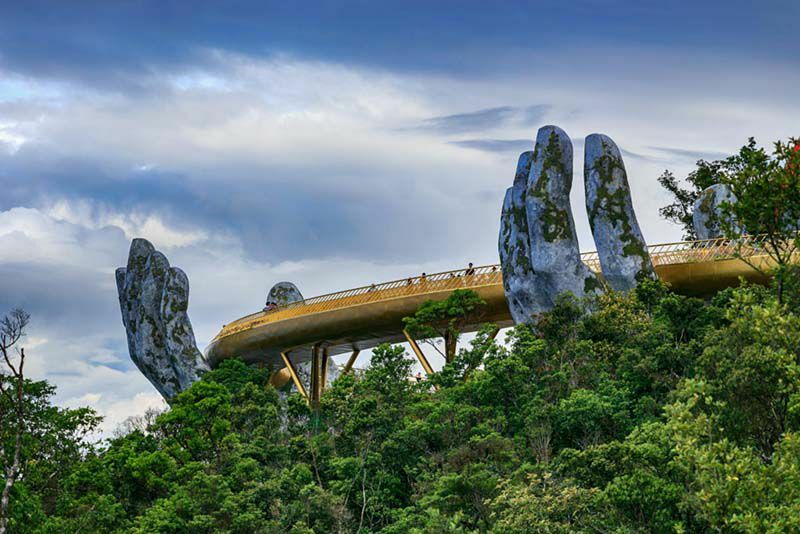 Golden Bridge is designed very impressively, drawing an arc in the middle of the sky, nearly 150 meters long, sited more than 1,400 meters above sea level. 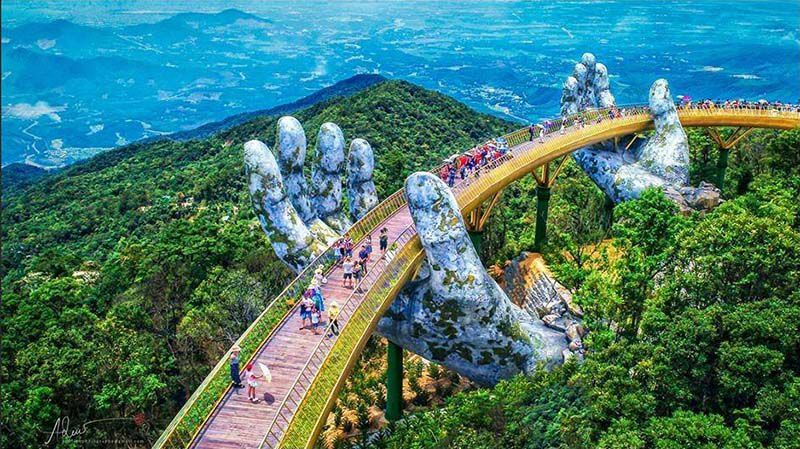 Giant hands hold up a narrow, Golden Bridge, sprouting from the hillside, the hands look aged and weathered. Standing in the golden bridge, you see the pristine forest stretching out and panoramic view of Da Nang City. French Village in Ba Na Hills Resort is an unique architectural work of ancient French villages: square, church, town, villages, hotels. Come visit French Village to go back the past and experience romantic, fine space of the ancient French architecture. Le Jardin d’Amour should not be missed discovering a romantic flower garden – Le Jardin D’Amour. 9 gardens in Le Jardin D’Amour are 9 interesting stories in 9 unique architectural styles. These create a poetic and colorful space. Debay Ancient Wine Cellar is an unique work built by French architects and was dug deep in Ba Na Mountain resort. 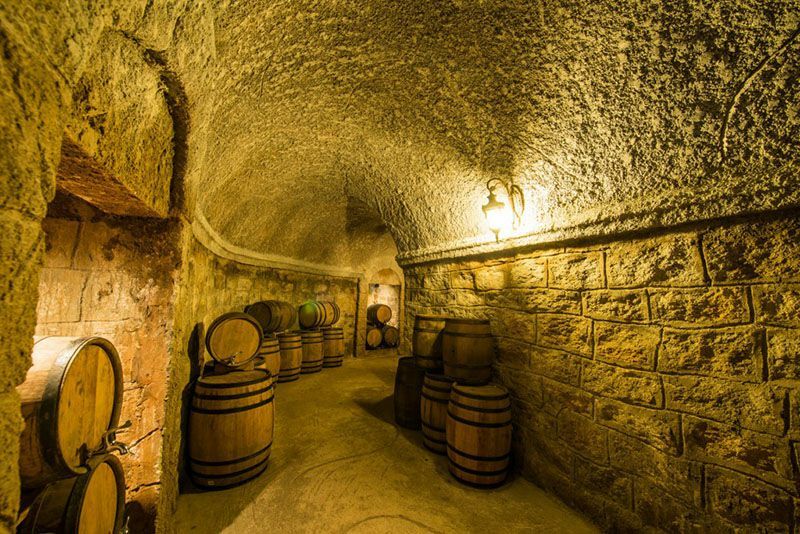 This Ancient Cellar is 100m long and always kept at ideal temperature from 16 degree to 20 degree Celsius. 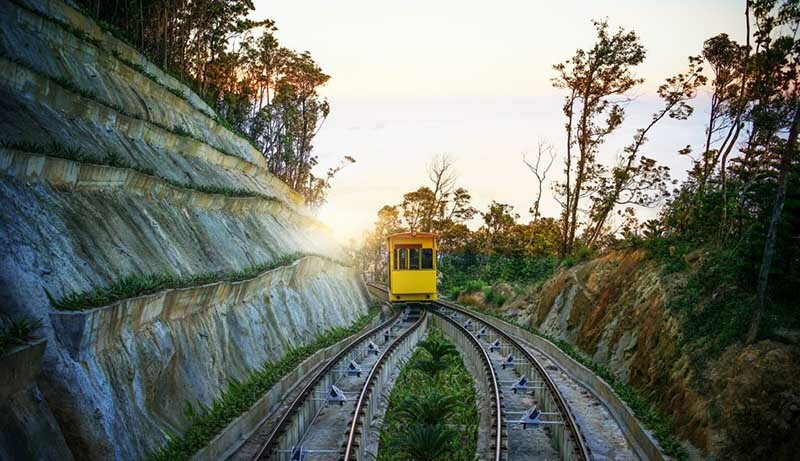 Funicular the first and unique funicular in Vietnam takes you to D’Amour Flower Garden, Debay Ancient Wine Cellar and Linh Ung Pagoda – in-omissible destinations in Ba Na tour. Linh Ung Pagoda located on a hilly terrain with romantic view, Linh Ung Pagoda is revered as the masterpiece in terms of architecture, artistic and religious value. 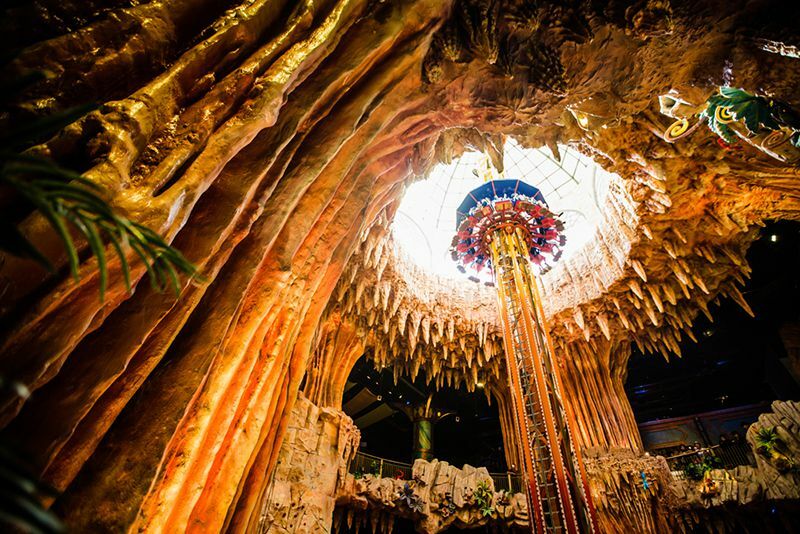 Fantasy Park As the ideal destination for the whole family, Fantasy Park has been built and designed on the inspiration from two famous novels “Journey To The Center Of The Earth” and “20,000 Leagues Under the Sea” of a French Author Jules Verne. 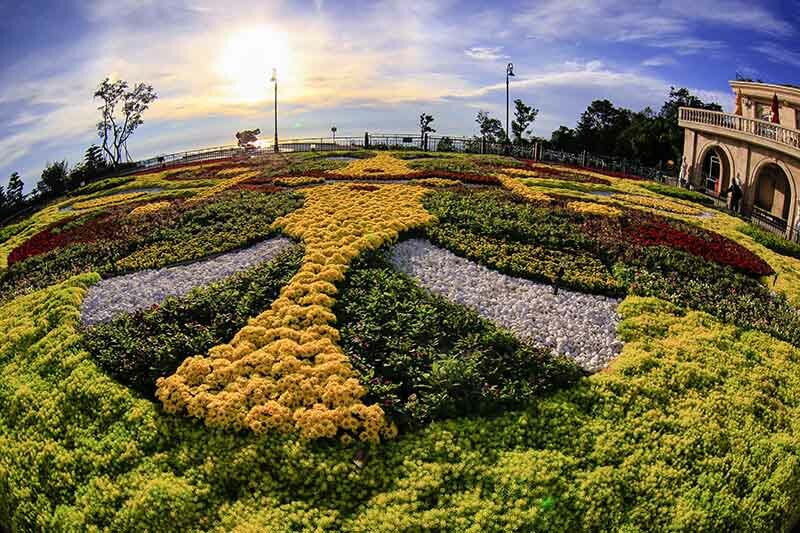 This park opens a lively and attractive entertainment world with many games exciting funny and surprised feelings for the children. 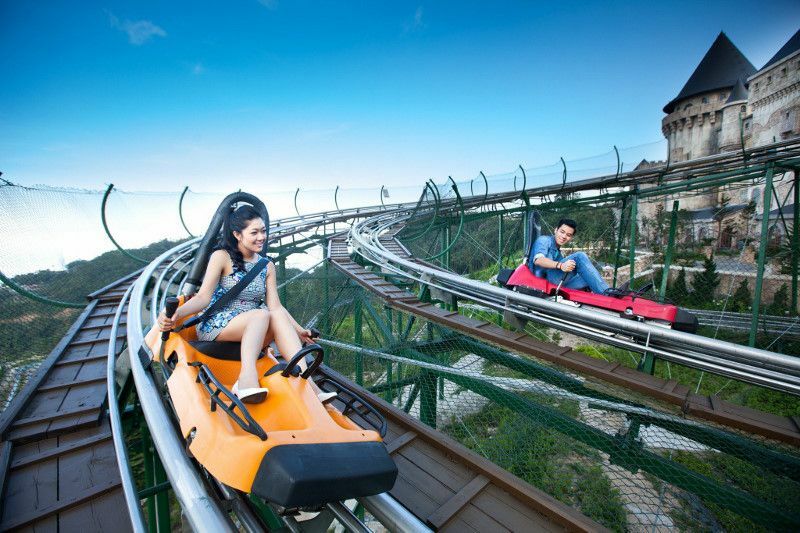 Alpine Coaster the first of its kind, boasting two double spiral curves, this widely attractive and popular experience is perfect for anyone keen for speed. 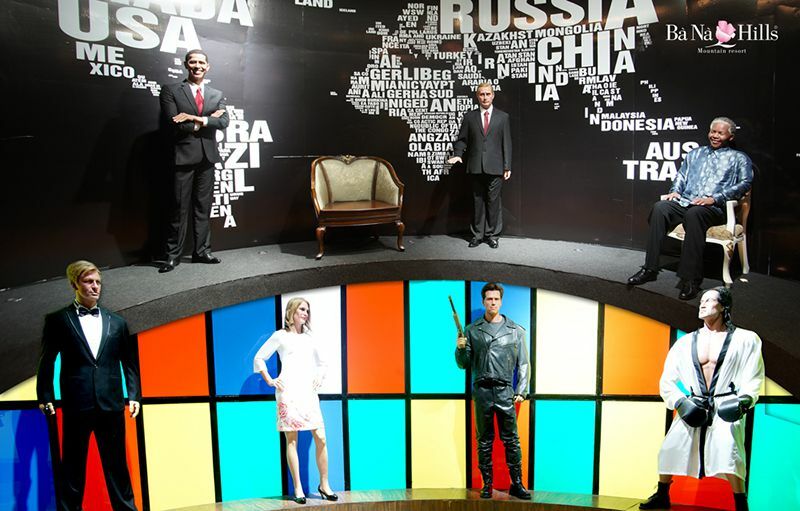 Wax Statue Museum is the biggest wax statue museum in Vietnam with many impressive wax statues of the famous characters in a lot of fields like as movie, music, sport and politics, etc. Take an extra layer or two whatever time of year you visit – when it’s 36°C on the coast, it could be 15°C on the mountain. 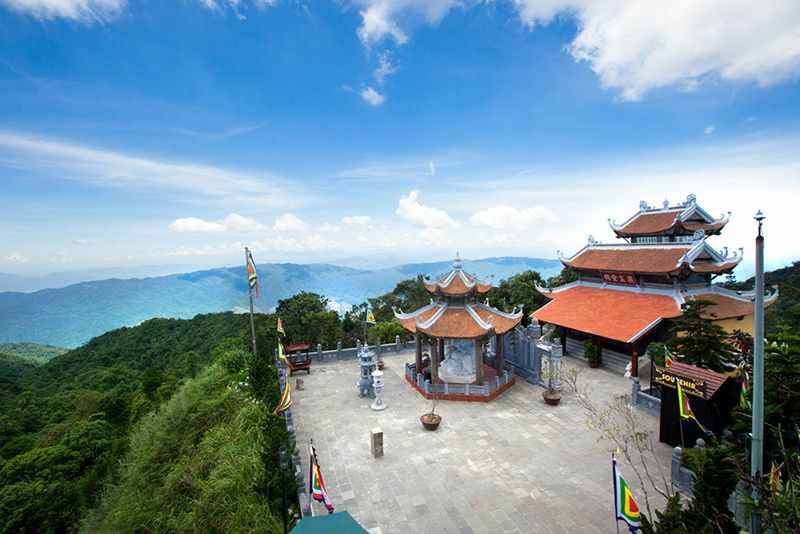 Cloud and mist also cling to the hill mountain top, so if you can, try to visit Ba Na Hills on a clear day. 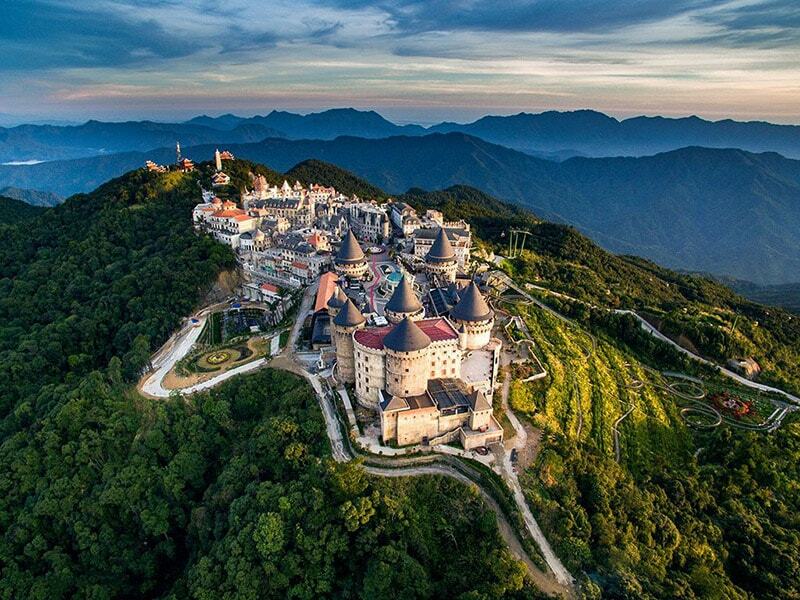 People come to Ba Na hills resort for many reasons but no one can deny that the rejuvenating atmosphere and the wonderful scenery of Ba Na influence them the most when deciding to come to this unique land.